6. A home office. 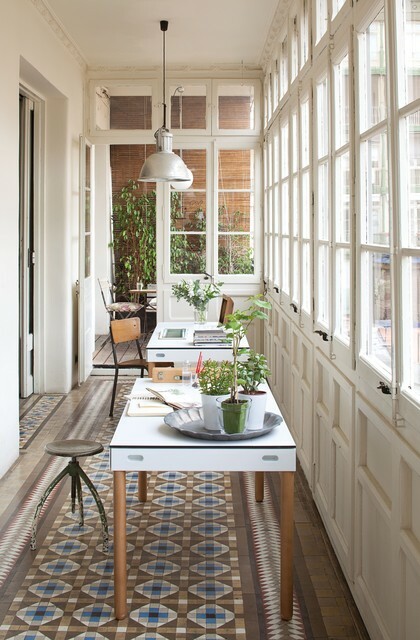 If you have a table in your sunroom, you can use the space as a home office between meals. A supportive chair, a Wi-Fi connection and a view to your backyard will make for a productive morning. Light, storage clean. Look to greenery beyond.